We all hold onto what is familiar to us. Over time, behaviors, thoughts, and emotions that once served a purpose in our lives, can become chains that bind us. Together we can explore what is holding you back from becoming who you are truly meant to be. With knowledge and insight, you can begin to take action and move forward from a place of being stuck, into a position of freedom and possibility. First meeting consists of a one-hour, diagnostic, informational consultation. Dr. Buesing will gather information about what issues you are struggling with, and collboratively begin identifying objectives for treatment. If the client is an adolescent, when indicated, the initial session will involve meeting first with the parents to get their perspective and gather history. Ongoing 45-minute (50 minutes for couples and family) sessions will include a frequent referring to objectives, monitoring of progress, and reworking of goals to meet your needs as you develop and grow. Frequent feedback to caregivers regarding minor clients is offered. Utmost sensitivity is taken to the difficult nature of the material and evaluation process. As much time as needed will be taken to create a safe and comfortable environment. All evaluations to include written report to be submitted to the agency of your choice. Reduced fee (or “sliding scale”) services are available on a limited basis for some individuals. Requests for sliding scale fee reductions are handled on a case-by-case basis for individuals who are financially disadvantaged and who have no insurance coverage for mental health services. Do I have “out-of-network” benefit coverage for outpatient mental health services? How many therapy sessions does my plan cover per year? What is the percentage of each session that is covered? Do I need precertification/preauthorization to begin treatment? About Dr. Amy Buesing Psy.D. Dr. Buesing is a licensed psychologist who specializes in treating trauma. She provides assessment and treatment of adolescents, and adults. 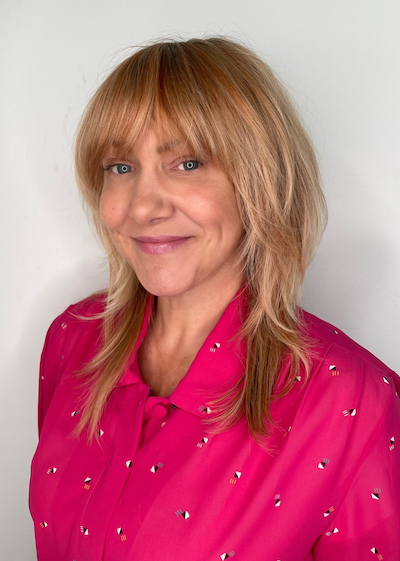 Dr. Buesing received a bachelor’s degree in psychology from Montclair State University in New Jersey, and a doctorate in psychology from the California School of Professional Psychology in Los Angeles. As a doctoral student, she completed an internship with the Counseling Center of Santa Monica, providing group and individual therapy to at-risk adolescents. She also completed an internship with the Wright Institute Los Angeles, an Association of Psychology Postdoctoral and Internship training site. Dr. Buesing finished her post-doctoral training with a full-time residency at the Family Stress Center in North Hills, CA, where she specialized in treating survivors of child abuse and sexual trauma. She led groups for foster caregivers, provided individual and group supervision to psychology trainees, and administered sexual abuse evaluations. Dr. Buesing has worked for several years in the area of trauma, and has extensive experience conducting psychological evaluations. With the Medlin Treatment Center, Dr. Buesing provided services to child and adolescent survivors of trauma, and was trained and certified to provide Trauma-Focused Cognitive Behavioral Treatment. She is currently a member of the American Psychological Association, APA Division of Trauma Psychology, and the Child and Adolescent Bipolar Foundation. Dr. Buesing incorporates a holistic approach to wellness and incorporates this in therapy with clients of all health and fitness backgrounds. The primary objective is fostering warmth and compassion, and for clients to achieve the most possibility and fulfillment in their lives. You can call Dr. Buesing at 706-801-9594, or fill out the form below to send questions, or to set up an appointment. There are some very normal reactions to trauma, loss, and life-changing events that may be preventing you from living a full, engaged life. A psychologist who specializes in trauma can help you to systematically approach the issues, and make changes that will positively impact your life, and the lives of those around you.